I used a graphite pole with 20 lb test line. 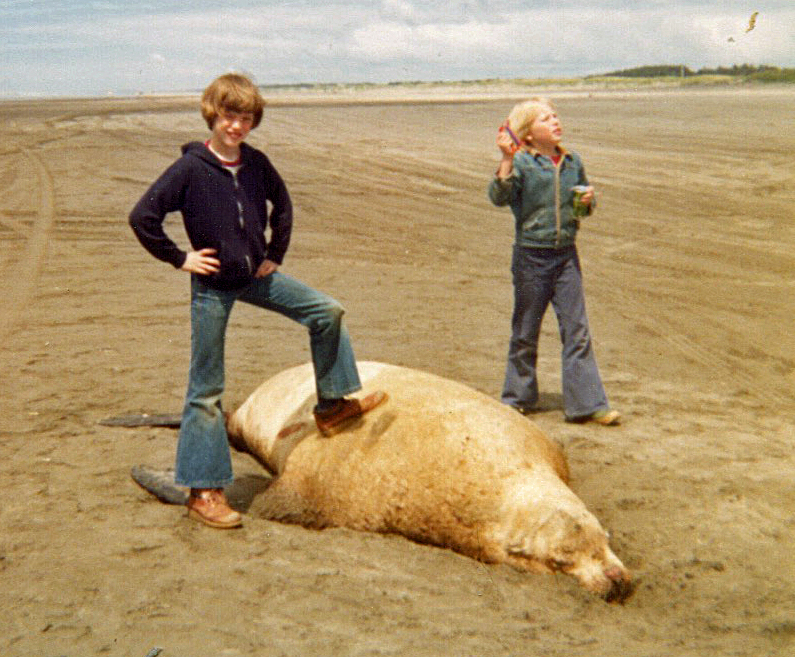 Here I am just after bagging my first sea lion. This picture was probably taken at Long Beach, WA. I’m not sure of the year, but judging by my haircut, I’d guess 1860. I tried to impress the girl in the background with the “mystique of the hunter” but she was too busy with her kite to notice my smoldering manliness. Or maybe the haircut put her off. It was the haircut.